Heat intolerance, also referred to as sensitivity to heat, is more than just not liking extreme heat. It can make it impossible for the sufferer to be comfortable under warm weather. Heat intolerance is the body’s inability to regulate normal temperature, making life a struggle when the temperatures go up. The hypothalamus helps your body keep a delicate balance of temperature regulation between heat and cold. It does this by sending a signal to your body to produce sweat when it gets too warm. The sweat cools off the body as it evaporates. For some, this balance cannot be maintained. What Does Heat Intolerance Feel Like? When your body temperature increases, there are a number of symptoms that can be experienced. The most common symptom is dizziness and feeling very hot. Other symptoms can include sweating profusely, rapid pulse, feeling faint, nausea, vomiting, flushing, heart palpitations, and headaches. In severe cases you may experience chest pain, in which case you should see your doctor immediately. These symptoms will usually appear gradually as the condition worsens or after any physical activity. Hyperthyroidism: The thyroid regulates hormones within the body and when the thyroid produces and excess of thyroid hormone, it can lead to heat intolerance, in addition to heart palpitations, excessive sweating, fatigue, muscle weakness, and weight loss. You should seek medical attention if you experience any of these symptoms and have your thyroid tested. Caffeine and Amphetamines: These are stimulants that increase the body’s metabolism and can cause heat intolerance by increasing blood flow, causing the skin to overheat and produce excessive sweating. With continued consumption of these stimulants as the outside temperatures rise, the symptoms can progressively get worse. Cut back on caffeine and discuss any medications you are taking that may contain amphetamines with your doctor. Chronic Conditions and Multiple Sclerosis: Certain conditions can be affected negatively by increasing outside temperatures and summer can worsen symptoms (pseudo-exacerbation). Though it might not produce the traditional symptoms of heat intolerance, it can manifest as making the existing symptoms of your condition worse. What Can You Do About Heat Intolerance? Supplement with magnesium. 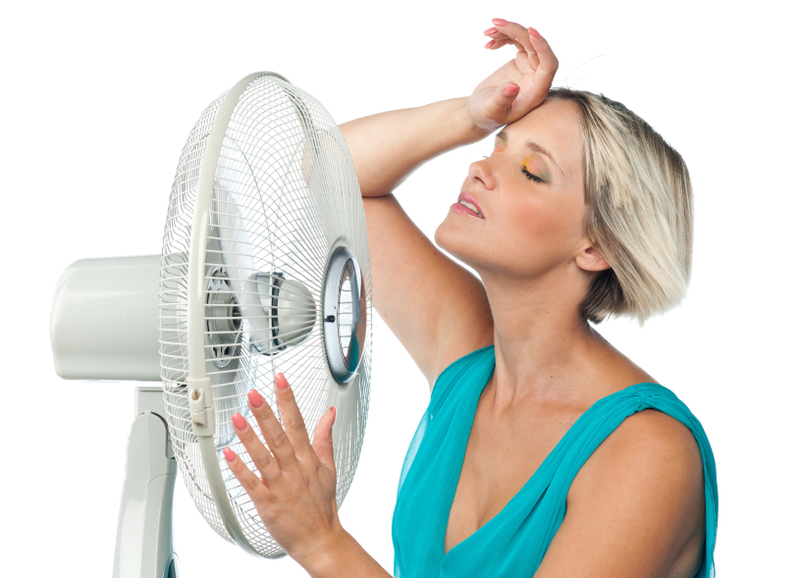 Heat intolerance can be a symptom of stress or anxiety. In many cases, supplementing with magnesium can have a calming effect on the body, reducing stress and eliminating stress-related heat intolerance.